Turning 40, architect Matthias Hollwich of Hollwich Kushner Architecture (HWKN) realized that he may have already lived half of his life, and started to think about what the next 40 years would look like. He became interested in aging and the architecture of aging. Dismayed by what he found – disempowering retirement communities and isolation of older adults in suburbs, among other things – he began developing new ideas to make the process of aging better. ‘New Aging’ provides self-help tips to smooth out the process and practice of aging – from the first into the final years of life. The tips range from social life to food to mobility and home design. Below, I discuss five tips from the book that I find most interesting, practical and helpful, and five self-help suggestions that I find rather ridiculous, because they are simply not accessible to most people. 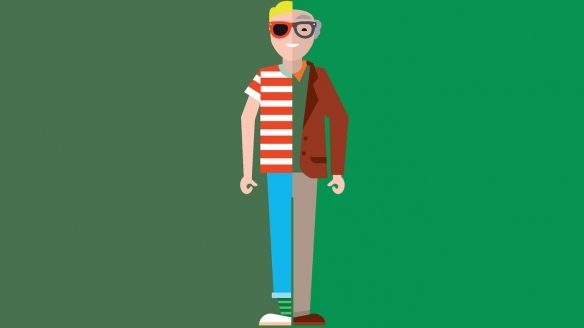 Illustration from the book: Aging is a matter of both young and old (Source: www.npr.org). 1. Exercise Without Meaning To – Each day this week, use a step counter to reach a goal. 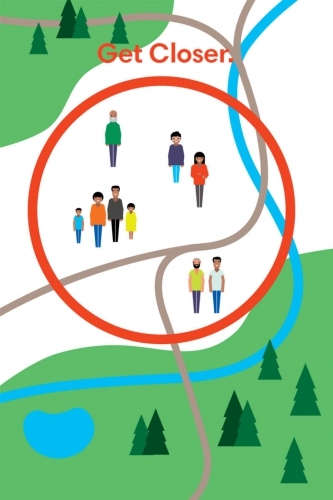 Turn on your creativity and explore the potential for exercise in your neighborhood. Every little bit counts: a daily fifteen-minute walk adds up to 5,475 minutes of walking a year – that’s almost one hundred hours! 2. Find Reasons To Get Out – Look at this month’s calendar and add new reasons to get out each day: drink a coffee in a café, see a game in person, visit a museum, shop at a market, watch a movie, or just go window-shopping. 3. 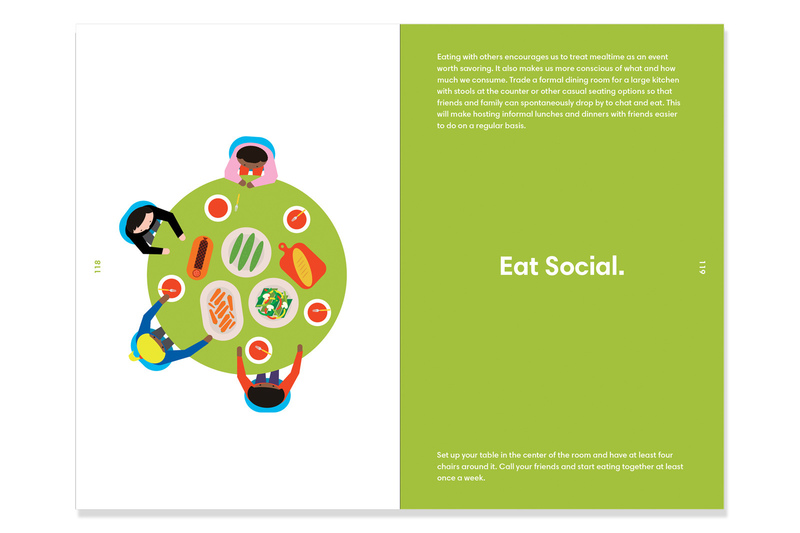 Eat Social – Set up your table in the center of the room and have at least four chairs around it. Call your friends and start eating together at least once a week. 4. We Don’t Have To Own To Enjoy – Map out places like community gardens, local swimming pools and libraries that are within a ten-minute walk and start using them. 5. Trade Help – Think of five things you could do for somebody else in exchange for five things that person could do for you to improve your day-to-day life. Eat social in order to age better (Source: www.coolhunting.com). 1. Start-Up Your Life – Start writing an elevator pitch for your dream company and think about ways to start it. Once you’re done with your elevator pitch, expand it into a business pitch. 2. Do It Yourself – This week, try cooking at home versus ordering out, cutting your own lawn or tackling a home improvement project you know you can accomplish in less than a day. You may be surprised how satisfying it is to do things yourself. 3. Become A Trader – Pick up a business magazine and study today’s top-performing companies. Follow them over the coming days, staying up-to-date on their progress. Use the knowledge to talk with your broker and to make sound investing decisions. 4. Let Others Drive You – Sign up for on-demand driving services today and use them exclusively for a week to evaluate their convenience and cost. 5. Hire An Architect To Review Your Home – Make an appointment with an architect this month and consult him or her like you would your doctor or your mechanic to ensure that you are safe, independent, and at peace in your home and neighborhood. 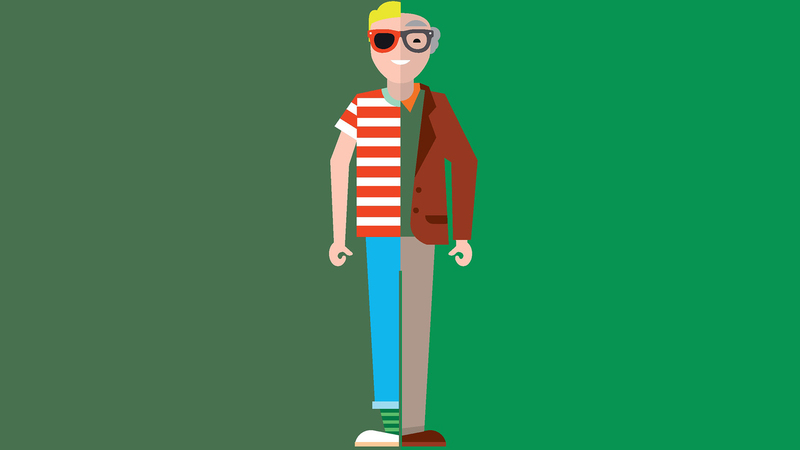 Successful aging tip: Get closer to one another and help each other out (Source: www.hwkn.com). Hollwich’s self-help guide is written from the perspective of a successful member of, say, the creative class. Although his recommendations for better aging are not within reach for all of us, what the book does do really well is making us aware of the fact that aging is not a matter of older people only. We all age and the sooner we realize that we do, the smarter we can live our lives. We might even realize that aging isn’t that bad after all. On the other hand, the way that aging is approached in the book sort of puts the blame on the individual, but what about our physical living environments? Personally, I think it is as much an issue of the urban environment, if not more, as it is an issue of how we, as individuals, think about aging and how we actually avoid thinking about aging. It is a miss that Hollwich, being an architect, does not address the issue of the environment in his book at all. In his architecture, however, Hollwich is now engaging with his self-created concept of new aging, in the form of an ‘aging tower’. In the next blog post of this series we take a look at this tower, but also go beyond physical solutions to aging and see how we can use the existing urban landscape more effectively. Do you have aging tips yourself? On www.new-aging.com you can contribute your own tips for better aging.